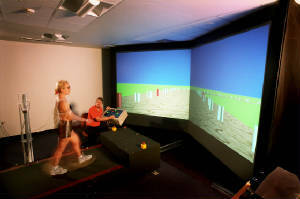 With a background in ecological psychology, human movement science, and interface design, we can bring you technology for data visualisation, sports coaching, and physical rehabilitation. 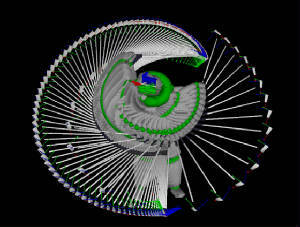 Video: Complex Active Visualisation lab. Media coverage: CAV lab by Minister for Innovation. 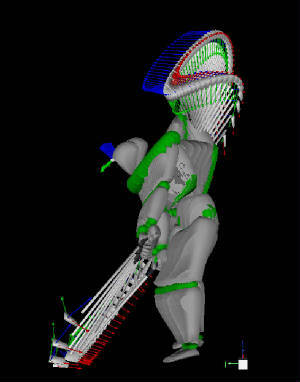 Would you like to have access to what has been recognised to be the world's most advanced golf analysis and computerised motion capture technology for golf coaching? 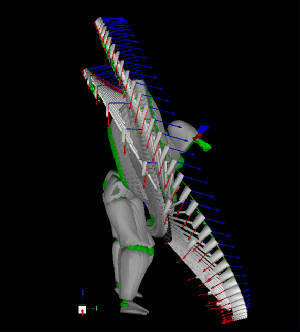 In essence, biomechanics + psychology = The world's most advanced system for scientific golf coaching analysis...and it's not just for pros and advanced players. 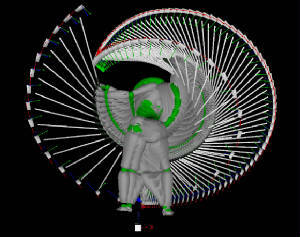 Everyone can benefit from a scan using 3D golf analysis. In collaboration with the coach, we can provide clients with the world's leading visualisation technology for golf coaching - the Titleist Performance Institute TPI 3D system. If you are interested contact us for further details.